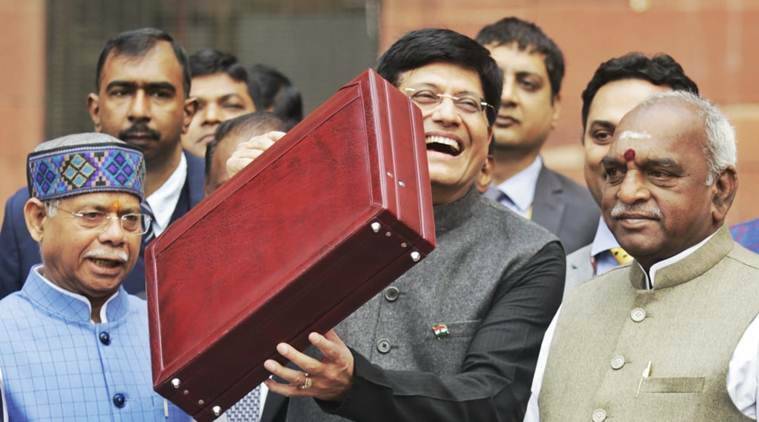 It is clear now that what Finance Minister Piyush Goyal presented in the Lok Sabha Friday was not an “interim budget” or a mere “vote on account”, but a full-fledged budget for 2019-20. The interim budgets/vote on accounts in the past have never had major income tax rate proposals similar to the one seen today. It remains to be seen how the proposals can be passed in a short Budget session such as this one; there is not going to be any new session of Parliament till the next government comes. We can then expect the proposals to be passed in the next few days itself. And obviously, no party will dare to oppose the increase in income tax exemption or standard deduction limits. For the second year in a row, the government’s fiscal consolidation path has slipped from the budgeted targets. For FY19, fiscal deficit target has been revised up to 3.4% of GDP from the Budget estimate of 3.3% of GDP. The government had also exceeded its Budget target of fiscal deficit of 3.2% of GDP. The revised estimate for FY18 had also been revised up to 3.5% of GDP. Goyal announced the Pradhan Mantri Kisan Samman Nidhi, under which Rs 6,000 per year will be transferred directly the bank accounts of farmers with less than 2 hectares land, in three instalments. There are 12.56 crore marginal and small farmers having less than 2 hectares (5 acre) holdings. If Rs 6,000 is paid to each farmer, the total outlay will be Rs 75,360 crore. The budget scheme is a modification of the Rythu Bandhu scheme of Telangana government, which provides assistance on per-acre basis (Rs 8,000 per acre per year) without any holding size limit. What Goyal has announced is a flat Rs 6,000 benefit to all marginal and small farmers. Goyal is, moreover, providing Rs 20,000 crore for the direct income support scheme for farmers in the current fiscal as well. So, we can expect these payouts in the current fiscal as well – maybe Rs 2,000 per marginal and small farmer. And probably they will be made before the Lok Sabha election schedule is announced! Budget Explained: Where will the money come from for PM Kisan scheme? Bond yields have not gone up despite a slight slippage in fiscal deficit targets for 2018-19 from 3.3% to 3.4% and Goyal announcing a Rs 75,000 crore direct income support scheme for small and marginal farmers. The yield on the 10-year-government bond has actually fallen a tad. The markets, it seems, are relieved at no massive increase in expenditures ahead of elections. The Rs 75,000 crore extra outgo can probably be managed by undertaking cuts in other subsidy schemes. Together with the US Federal Reserve’s move to keep interest rates unchanged and pause its earlier monetary tightening plan, we can expect RBI to be reasonably dovish in the next policy review. Even if repo rates are not cut, they will certainly not be raised. For those with a taxable income of up to Rs 5 lakh annually, the government has announced a one-time tax rebate. An individual falling in this bracket will have to file his/her income tax returns and will get a full rebate. The announcements result in tax saving of up to Rs 12,500 for all taxpayers. If benefits under 80c are included, individuals with income of up to Rs 6.5 lakh will have to pay no tax. Besides, interest income of up to Rs 40,000 will attract no tax. Finance Minister Piyush Goyal said Insolvency and Bankruptcy Code pressured large borrowers to repay loans and has been effective in improving recovery of the banks. Recoveries pegged at Rs 3 lakh crore. He said with three banks already coming out of the RBI’s Prompt Corrective Action framework, the government expects the remaining banks to come out of the PCA shackles soon. Removal of PCA restrictions will help banks to improve lending. The government announced a series of benefits including no tax on rental income of up to Rs 2.4 lakh on second house, capital gain benefit under Sec 54EC doubled to Rs 2 crore and allowing it to be deployed in two houses. The decisions are focused on unsold inventories and pushing demand in the real estate sector. Under the Fiscal Responsibility and Budget Management Act, the Centre’s gross fiscal deficit was supposed to come down to 3% of GDP by 2020-21. Now, that Goyal has budgeted the fiscal deficit for 2019-20 at 3.4% (with the revised estimate for this fiscal also at 3.4%), the next government will have an uphill task to meet the FRBM targets. Finance Minister Piyush Goyal has announced a committee under the Niti Aayog to identify the most marginalised Denotified, Nomadic, and Semi-nomadic Tribes not currently classified as ST, ST, OBC, in the Union Budget 2019. The Indian Express had first reported the proposal. The Union government’s plan to implement a few, if not most, of the recommendations of Idate Commission is a political move coming at a time when it is facing severe backlash for implementing the 10 per cent reservation for economically weaker sections in general category. Described as the “most deprived” by commission after commission set up since Independence, the DT, NT, SNT communities have been the most marginalised groups in India. Despite various recommendations to this effect till date, there is still no data collated on their numbers, no separate reservation or a permanent commission for them, nor is there proper categorisation with a few being put in SC/ ST/ OBC lists and the rest figuring nowhere.